The Professional Development Committee coordinates the monthly lunch speakers, professional development seminars, Lunch with Leaders and other educational opportunities. The Marketing Committee creates and distributes promotional materials and promotes YP events through all channels including social media. 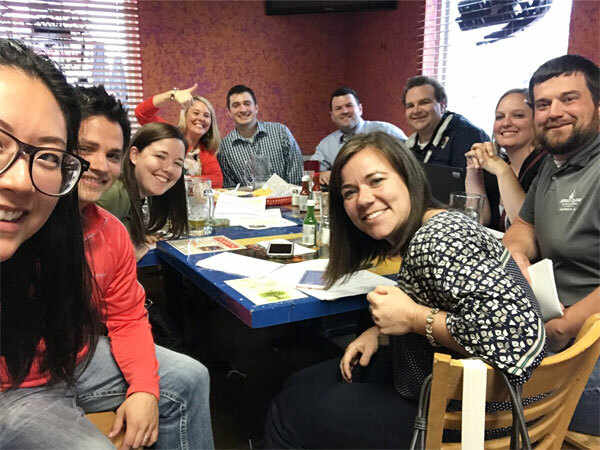 The Membership Committee is responsible for growing the membership of YP, welcoming new young professionals to the area and encouraging them to join YP. The committee also ensures that current members are satisfied with YP events and opportunities. The Social Committee plans all events of a social nature. These events should occur at least monthly. The Service Committee handles all requests for volunteers, money, solicitations, etc. and communicates charitable opportunities to YP members. ** To be added to a committee, contact Susan Neill-Dawdy at the Chamber. Feel free to e-mail the committee chairs for more information about meeting dates, times, etc.